Lots of chatter about Hillary’s logo but what is the story? Criticize Hillary’s logo all you want, but it’s a breath of fresh air! Look back to her 2000 Senate race logo (yes, we kept it), which no one wisecracked about because they were too busy falling asleep. In fact, until Obama, United States political campaign logos were terribly boring and a meaningless exercise in flag waving. 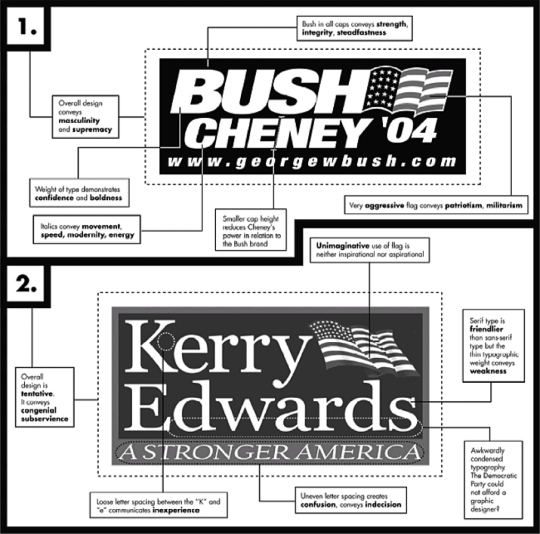 That’s not to say that boring, “meaningless” logos are not without controversy or debate; in the October 2004 New York Times infographic, Paula Scher gave a thorough explanation of how the exceedingly dull logos of presidential candidates George W. Bush and John Kerry negatively contributed to the morale of the campaigns. Interestingly, these examples look hopelessly outdated 11 years later. The field in which Hillary’s logo will be viewed is altogether more modern and differentiated. Of course, it was Shepard Fairey’s Hope poster and Obama’s groundbreaking branding that pioneered a more strategic approach to political graphic design in America. The brilliance of the Obama campaign was not the logo alone, but the ownership of a big idea: Hope. Making Obama synonymous with the positive message of Hope, left the Republican field with nowhere to go but negative. Like Nike’s “Just do it”, Obama made “Yes, you can” the rallying cry of hope for a nation grown tired of Bush and big business. Choosing the right strategy is what counts; the logo just has to communicate it. 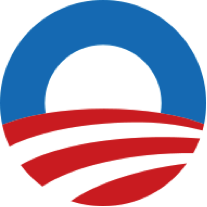 While Hillary’s logo may appear to be a PowerPoint quick fix (sorry Pentagram), it is, like that of Obama, refreshing because it boldly commits to an idea: Moving America Forward. Where the logos of other candidates will wave the flag and say little, Hillary’s makes a stand and communicates a story. Does Moving Forward capture the mood of America? Is it a promise which people will believe? In short, is the strategy right? 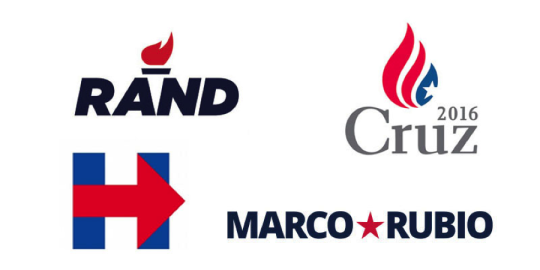 May the best (logo) strategy win!